"By the end of the year we should be up to 20 to 25 percent," Volvo CEO Hakan Samuelsson said during a roundtable discussion with journalists this week. Volvo didn't have enough batteries, electric motors and the other key components needed to make its plug-in hybrids, Samuelsson said. "We are not happy because we could sell more [plug-in hybrids]," he said. "We underestimated the demand." Samuelsson said Volvo is currently "ramping up all the components" it needs to produce its plug-in hybrids -- as well as its recently added family of mild hybrid powertrains. "We are tripling the capacity from what we had about a year ago to where we will be at the end of this year," he said. Volvo will introduce a range of mild hybrids this year, starting with diesel and gasoline versions on the XC90 and XC60. 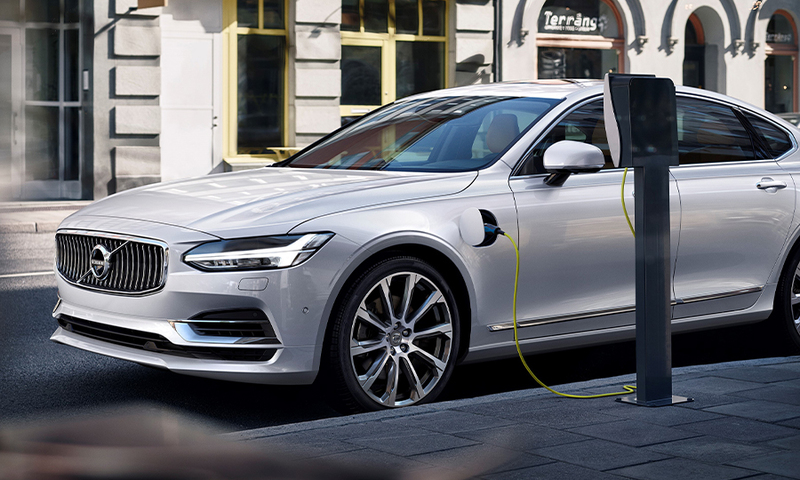 The mild hybrids, which will wear Volvo's new B badge, will be equipped with Volvo's brake-­by-­wire energy recovery system.